So you’re tired of playing small. There’s potential hiding within yourself and your horses – and you know it. And you’re more than ready to unleash it on the barrel pattern. Not only that, but you’re ready to experience less frustration and enjoy more fun (not to mention, winnings) in return for the heart & soul you invest in your barrel racing. 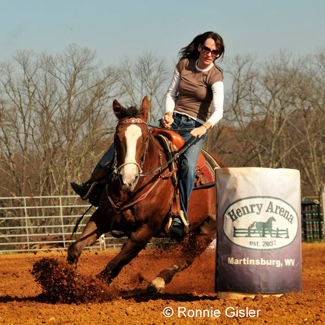 Barrel racing is simple but as you know, it’s not necessarily easy. What IS easy – is getting stuck in a rut. It’s easy to spend A LOT of time trying to shave tenths off the clock, only to keep spinning your wheels. I know what it’s like, and if it hadn’t been for my overwhelming tenacity + special mentors and horses who revealed my own blind spots over the years, I wouldn’t be nearly as prepared to shine a gentle light on yours. I’ve facilitated light bulb moments and significant results for thousands of barrel racers with the content I share, but something really special is possible through one-on-one, specific support that is catered to you and your horse’s individual needs. With “eyes to see” the cause of problems at their source, and the ability to share clear, concise action steps – I can help dissolve roadblocks standing in the way of YOUR wildest barrel racing dreams. Essentially, I’m here to help you perform powerful, fast runs with ultimate speed, precision and confidence. But even when knowledge (from the right sources) IS applied, it only turns into POWER on the pattern when it’s applied in the right way. The part that’s hard to describe in “one size fits all” articles, videos, or even books. to advance your barrel racing and decrease your times! Does this sound like something you’re after!? “Wow! What a difference. I had a plan going in that I was going to concentrate on getting my mare focused and keep her feet moving. She didn’t seem so nervous either… I didn’t have to check her going into the first, she also got herself in line for the second. I’m very happy. Thanks for all of your coaching. I will continue to use the strategies!” – Betsy N.
“I had a GREAT run tonight! All I did was stay off her head and use my body more to rate and turn as you suggested. I think that was my biggest problem and was why you noticed the hesitation she had before the turns. I really felt a difference in her turns as they felt more fluid and not so choppy. 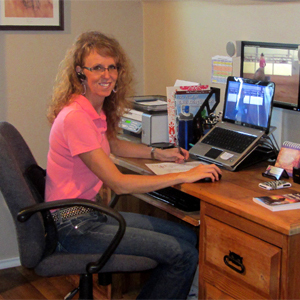 Thanks again for all the help!” – Evelyn P.
“It was great to visit with you for the video coaching… I started using the exercise you recommended for linking his hind end to his brain. We had an OUTSTANDING weekend and earned State Championships in both the Open 1D and the Masters (rider over 40), also in the 1D. It was our best weekend ever! We had been having problems with getting by the first barrel in the big outdoor pens, and we cranked it every run… just wanted to say a big thank you for your help!” – Michelle B. Because I have limited availability, it’s important to confirm we’re on the same page. If you resonate with at least 7-8 of the points listed below, I’m confident we’re a match! Location is NO object – I’m ready to help YOU! First, you’ll decide whether you’d be best supported by a one-time POWER HOUR session, or a three month FRIENDTORSHIP consisting of six one-hour sessions (two calls per month), plus in-between email access. Next, you’ll choose a date and time from a selection of available slots on my Calendly calendar for your single POWER HOUR, or your first FRIENDTORSHIP session. Then, you’ll either make a single, easy & safe online payment to book your POWER HOUR, or make the first of two FRIENDTORSHIP payments, and will be automatically sent a short questionnaire to fill me in on what you’re needing help with most. You’ll return the completed questionnaire to me (where you’re welcome to include up to 3 links to YouTube video up to 10 minutes total in length) within 24 hours before our scheduled time, so I can review your details and do some brainstorming. At the specified date and time, you’ll bring up your videos (so we can review video at the same time) and have a paper & pen handy (for taking notes). You’ll give me a jingle on the phone, and I’ll help you strategize and develop an action plan to get on track toward the WINS we both know you’re quite capable of! Within two business days, I’ll be back in touch with a written summary of key takeaways. and be amazed by the results!Also included with the POWER HOUR is one email exchange within the following two weeks where I’ll be glad to answer any remaining questions, accompanied with a quick survey to provide me with feedback on our session. The FRIENDTORSHIP includes email access throughout. Did I mention it’ll be a whole lotta FUN? “With everything that I have learned we performed the BEST run we have EVER, EVER, EVER had on Saturday!! I had goose bumps from head to toe and was brimming with confidence! I now have a horse running 1D times and have now performed the best run I have ever done on her. There was no pulling, leaning on my hand or attempting to run past the barrel! 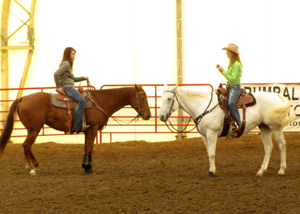 She was so sooo responsive, thank you heaps for your help!” – Ruby H.
“I had the BEST time this weekend with my horses. I actually came out of the arena after our run with a smile on my face and the first words out of my mouth were “that was fun,” and had compliments from several friends and a notable trainer in our area. He worked GREAT Friday night, I could feel the snap coming back in his turns… we were both so much more focused and he felt ready to work. We were 4/10ths faster… I was SO proud of him. My mare warmed up super and didn’t have any gate/alleyway issues. Thank you, Thank you, THANK YOU for your time, insight and help. So much to be grateful and blessed about in such a short time.” – Kim M.
VIDEO COACHING is more than short, sweet, superficial run critiques. I put over an hour into prep AND follow-up on top of the actual hour-long session(s). So we’ll have the opportunity to go deep – and you’ll receive maximum value as a result. You can rent my eyes, ears and brain for an hour at a time – then experience & enjoy the positive results forever! Step One: To reserve your spot, click here to visit my Calendly calendar. Step Two: Once you’ve confirmed a session, make a safe, online PayPal payment for your POWER HOUR session by clicking here, OR make the first of two FRIENDTORSHIP payments by clicking here. Step Three: Check your email for details and a brief questionnaire. Step Four: Get excited to skyrocket YOUR barrel racing success! Keep in mind, of course that I realize VIDEO COACHING is a significant investment. Let’s turn YOUR barrel racing dreams into REALITY! But it’s my belief that your personal development and that of your horses is worth investing in. It’s something you can be confident in the return on. You already know the kind of insights I share aren’t available anywhere else. Now it’s time to get very specific. You could spend days, weeks, months or even years spinning your wheels by yourself. OR you can let me help. With the POWER HOUR or FRIENDTORSHIP, solutions to problems that have frustrated you can become obvious, and easy to solve. You’ll receive an inspiring dose of motivation, plus clear action steps you can implement instantly. You and your horse will become a more confident team, and you’ll be prepared to finally receive RESULTS that are in alignment with ALL the hours of effort you put forth. Let me just say again – YOU and YOUR BARREL RACING GOALS are WORTH INVESTING IN. Click here to schedule your VIDEO COACHING and click here (Power Hour) OR here (Friendtorship), to make your payment & secure your spot. Helping dedicated barrel racers like yourself achieve their goals is my passion and purpose.